New Delhi: On Thursday, Railway Minister Suresh Prabhu said the national carrier is targeting to earn USD 6 -7 billion in non-fare revenue in the next few years. 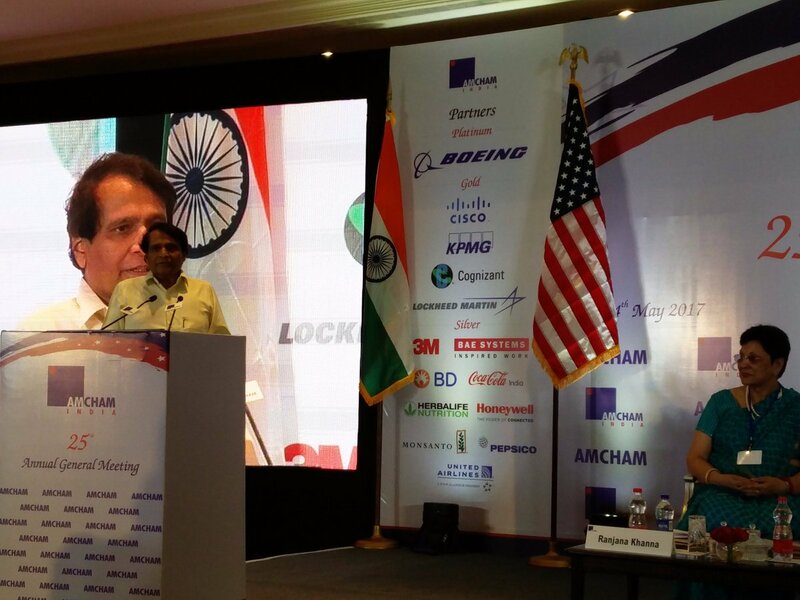 Speaking at the 25th Annual General Meeting (AGM) of the American Chamber of Commerce here, Prabhu also said the railway network was expected to be fully electrified in the next 5 years. The railways was adopting new measures, both to cut down the cost of operation and enhance its revenue sources, Prabhu said. The railways has launched various policy initiatives to increase non-fare revenue including out-of-home advertisement, content on demand, branding of trains & ATM policy, etc. The railways was expecting to save over USD 6.5 billion in next Ten years by cutting down its energy expenditure, he said. The railways freight revenue had increased through various reforms, including lowering of rates, he added.